Industrial equipment servicing throughout the south west – from Myalup to Pemberton. Servicing the entire south west, we can service any type of industrial equipment with specialist staff and fleet service vehicles. Mako Services provide industrial equipment solutions to the south west region of Western Australia. From sales and hire to servicing all customer equipment, we can provide a professional service from a local family business that understands your requirements. Most of our customer repairs can be conducted on site keeping operating costs to a minimum, and assuring minimum downtime. Our workshop, based in Busselton, is our central hub for servicing the south west. We stock fast moving parts of a variety of brands. 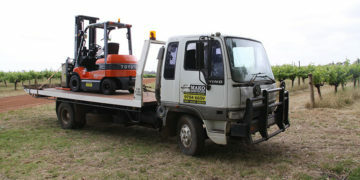 We have a fleet of hire forklifts and matching attachments. Offering short term rental options through to long term arrangements with new equipment. Mako Services has been providing technical and mechanical support to the Worsley Alumina warehouse for the past 10 years. The team has evolved over that time into a solid and very reliable asset to our business. My experience with Mako services has always seen great results and professional and prompt services provided. I have known Mark Box of Mako Services for over 9 years. Over that period Mark and his team has provided a great service to us both in breakdown and interval servicing of our machinery here at Busselton Bitumen Service and Civil. Mark and his team at Mako Services provide us with the mechanical backup so we can achieve a great outcome for our customers. Mako Services provides us with all of our forklift supply, servicing and advice needs – their service is reliable, prompt, precise and detailed. We would highly recommend Mako to any business! The services we have required have been wide and varied from forklift servicing and breakdown repairs to information and advice on various lifting and maintenance issues that we have required over time. We carry out work for local and state government agencies, mining companies and construction companies together with multiple private customers throughout the south west. It is of the highest priority for us to have our plant and machinery in great condition to complete the projects that we are presented with. Mark and his team at Mako Services provide us with the mechanical backup so we can achieve a great outcome for our customers. The services we have required have been wide and varied from forklift servicing and breakdown repairs to information and advice on various lifting and maintenance issues that we have required over time. 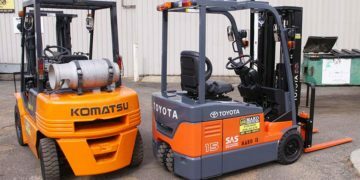 Our fleet consists of (8tn to 3tn forklifts / side lifter / mechanical sweepers and a fleet of electrical machines that we use within our main warehouse). The team at Mako Services have always provided prompt and professional services in sometimes difficult situations. 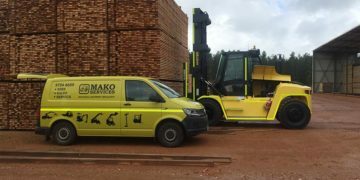 Mako Services has developed from its humble beginnings as a single van servicing the forklifts in the Margaret River wine region. Since 1998, we have grown to have 5 service vehicles servicing all types of industrial equipment across the entire south west of WA. Mako Services | Copyright © 2011–2019 | All Rights Reserved.